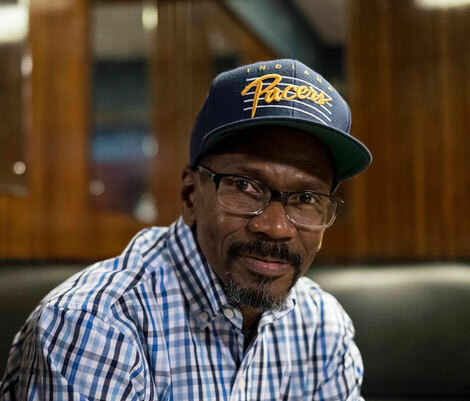 Larry Heard's life has possibly been characterised by the kind of quiet intensity that will be instantly understandable to anyone who knows his music. From the moment he unwittingly gave the nascent house music scene a shot in the arm with his introspective and dreamlike early tracks, he has delivered music that doesn't shout or demand your attention, yet which aims to speak to the very deepest parts of the human condition, and as such trigger the most passionate and enduring responses in discerning listeners and dancers. And his dedication to his craft means that not only do his earliest works possibly stand up as classics for the ages, but he probably continues to be as prolific as ever, creating the kind of electronic music that may well win over the most demanding music lovers. Under one of his most notable guises, Larry recently announced details of a new album for 2018. ‘Cerebral Hemispheres’ is his first full length album as Mr. Fingers in almost 25 years (15 years under Larry Heard). Famous as one of the most important heads in the dance music around the world, Larry has enjoyed a successful career as a producer, remixer, collaborator, vocalist and DJ spanning 35 years. Due for release on 13 April via his own imprint Alleviated Records, the album features 18 pieces of music that allows the listener to fully immerse themselves and dig deep into Larry’s musical world. From shimmering ambience to deep soul to psychotropic electronics, it shows that there's no danger of him slipping into a creative rut or formula. Created with quiet, focused dedication, and full of human experience and emotion, this music comes from the same place it always did more than three decades back in Chicago.